Summer season to the majority of people means perfectly tanned skin, fun at the beach, and a lot of summer pool parties. Healthy looking hair in summer are somewhat hard to achieve and maintain. Along with the frizziness, a greasy scalp, and sun damage are just a few of the issues that are accompanied by the summer season. Let’s be honest here, maintaining healthy looking hair is already a lot of effort. With the extra frizz that your hair experience during the summer means more styling time and less time to do the fun activities. 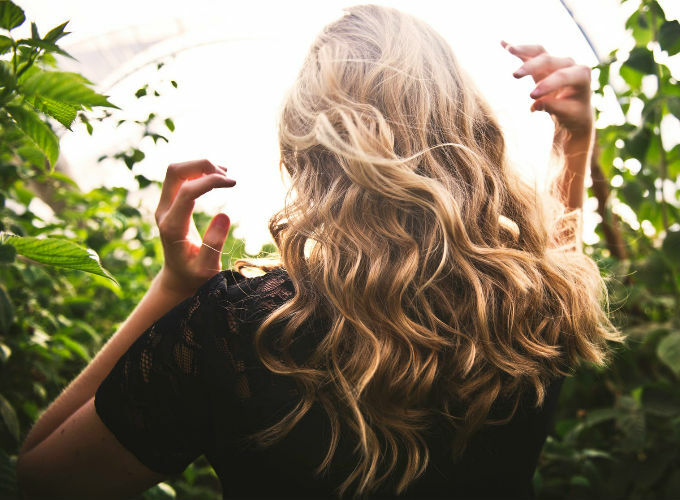 Here are some easy tips that you can follow to flaunt gorgeous locks in summer that look healthy. To achieve healthy-looking locks in the summer should be an easy task for all hair types. However, a lot of factors can hinder your progression towards beautiful silky and smooth hair. Just like the sun rays are harmful to your skin, the same sun can be damaging to your hair as well. Prolonged sun exposure is the culprit behind brittle hair, damaged locks, and split ends. According to an article from Live Strong, the sun is equally hazardous to natural hair, as it is to color treated hair. 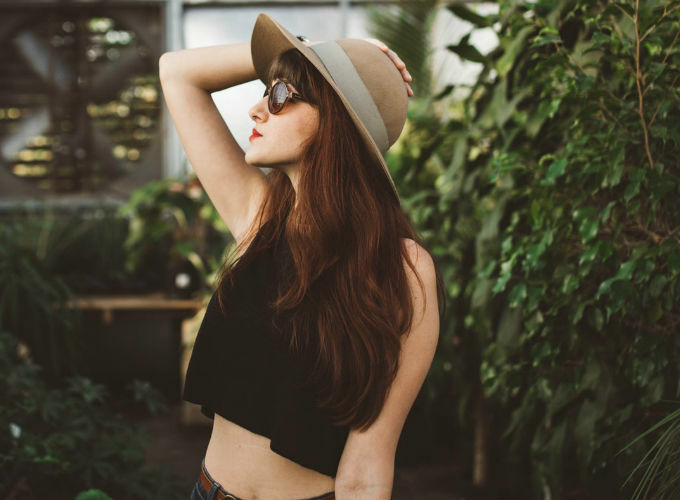 To avoid the harmful effects of the sun, wear a large hat, use hair products carrying SPF, and opt for leave-in serums or conditioners. During the summer season, the temperature rises drastically and depending on where you are living, the temperature can easily cross the two-digit range. A rise in temperature means a lot of sweating, which is the enemy for the people with an oily scalp. Excessive sweating, for the most part, means your scalp will be greasy and the often use of dry shampoo will lead to a lot of build up. Therefore, using a good Clarifying Shampoo is of utmost importance. It will not only clean your scalp thoroughly, but will improve the volume of your hair as well, which can be diminished as a result of sweating and due to an oily or a greasy scalp. The humidity caused by the rise in temperature is not kind to any hair type. Straight hair turn wavy and the curly hair turn frizzy. This means if you are fond of straightening your hair, the result will only last a few hours. You can maintain frizz-free tresses by using a good frizz control serum. Avoid it altogether by using a high-quality sulfate-free shampoo. The absence of sulfates in the shampoo will not strip your hair of natural oils, which means silky soft hair for longer. Frizzy hair equals tangled hair. As if avoiding frizz wasn’t hard enough, you don’t want to further damage your hair by not detangling properly. The secret? Use a Detangling Brush, which is an excellent type of brush for all hair types. A detangling brush is not only gentle on your locks, but also aids in a proper blood circulation if used as a scalp massager. 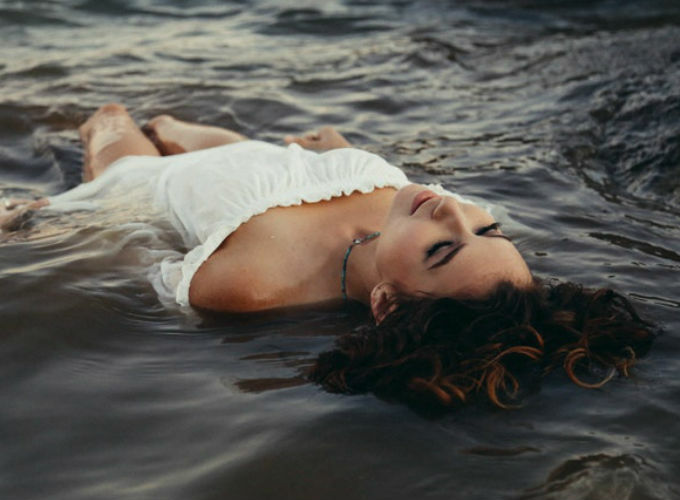 Summer is the best time to enjoy the pool time and if you have blonde hair, the chlorine in the pool can turn your hair green, which is not a flattering color to have on your beautiful locks. You can minimize the chlorine damage and avoid the change of hair color by using a protective hair serum before swimming. Wet Hair that are saturated with such a hair product are less likely to turn green and are less prone to chlorine damage. Here is a list of products that can help you achieve the healthy-looking locks during the summer, more efficiently. Made with a complex formula consisting of keratins, collagen, and organic oils, this shampoo is free from sulfates. The absence of sulfates in the formulation makes it an excellent product to avoid frizz production. The presence of keratin will provide nourishment to your hair and the collagen will rebuild your hair strands, plus strengthen them. This is a great shampoo to opt for if your locks have experienced sun damage or you suffer from split ends. Kellis Professional Sulfate-free Keratin Smoothing Shampoo is also recommended to be used after Keratin Treatment to attain frizz-free hair for longer and it is equally suitable for all hair types. This shampoo is formulated with a balanced PH that will not over dry your scalp. The clarifying action makes it very suitable for people with an oily or greasy scalp. The thorough cleaning action will remove excess oils and build up to improve the volume of your hair. People with an oily scalp can use this shampoo twice or thrice a week. Kellis Professional Keratin Clarifying Shampoo also contains keratin, which makes it suitable for drier scalps as well if used once or twice a month. This detangling brush is designed with an easy grip handle, which puts less strain on your wrist, making it a better alternative as compared to the ones from other brands. 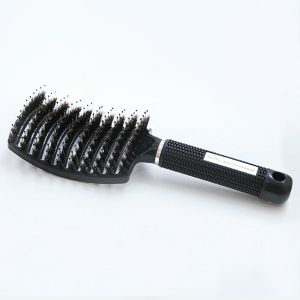 The soft bristles gently massage your scalp, while untangling your hair and eliminating any chances of frizz production. This Detangling Brush is suitable for all hair types, so whether you have straight locks or curly tresses, you can benefit from the purchase of this brush. The keratin-rich formula of this Superior Smooth Shine serum will not only nurture your roots, but will also provide the desired softness and shine. This serum seals your hair with a protective layer that prevents the hair from breakage and limits the production of split ends. If applied to damp hair before heading to the pool, it will create a barrier around your strands to avoid the chlorine damage. The Kellis Professional Superior Smooth Shine Serum is a suitable product for all hair types that will also protect your hair against all types of chemical, heat and sun damage.